Is there a better alternative to SmartBreak? Is SmartBreak really the best app in Health and Fitness category? 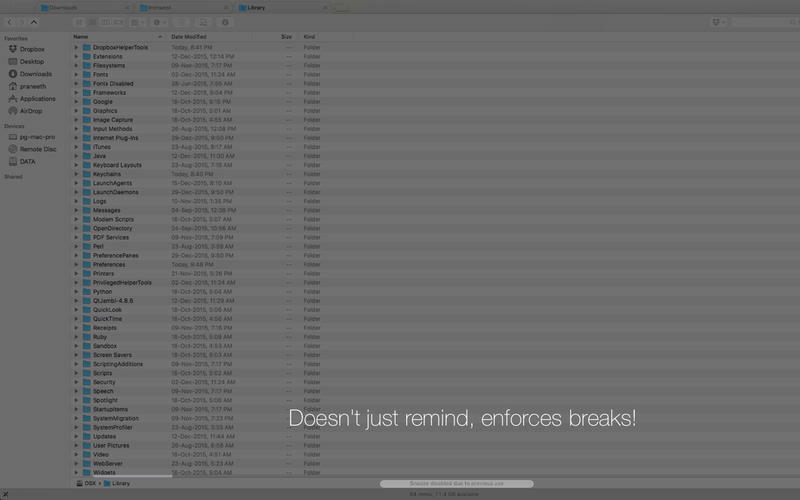 Will SmartBreak work good on macOS 10.13.4? Note: The downloadable demo is version 2.6; the version available for purchase on the Mac App Store is version 2.76. SmartBreak needs a rating. Be the first to rate this app and get the discussion started! SmartBreak is a revolutionary ergonomics program that reminds you to look away from your computer screen and forces you to take regular breaks. 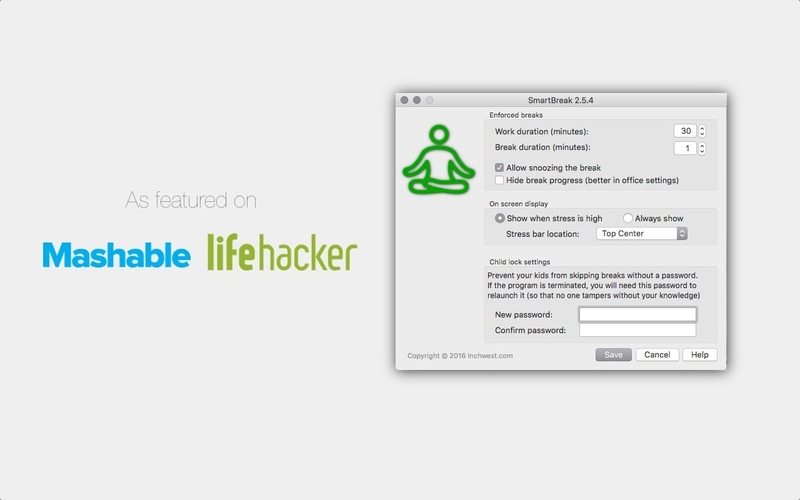 Unlike similar reminder tools which prompt you to take breaks at fixed intervals, SmartBreak actually monitors the way you spend time on a laptop, and then prompts you to rest at the appropriate time. This way, your breaks are more effective at preventing stress related health hazards like Computer Vision Syndrome (CVS) and Repetitive Strain Injuries (RSI). SmartBreak is the only RSI-prevention program that not only reminds you to take breaks, but also forces you to take a break, which is especially useful for kids when combined with the child-lock option.